What the *bleep* is a style guide? I am not saying that my high school English teachers failed me, but I arrived as a college freshman without the slightest idea what a style guide was. At matriculation, the college president handed each of us a copy of The Elements of Style. I didn’t know what it was for and therefore shelved it for nearly my entire college career. I did have a vague idea of different rules regarding citation and bibliographies such as the MLA and APA, but at the time, I figured they were just some arbitrary rules set up to annoy me and cause me to spend even more time on a paper than I wanted to. So I learned them as needed and promptly forgot them as soon as the paper was turned in. In hindsight, I really could have used that guide if I’d just known what the heck it was for! It might be important to point out that style guides are not grammar guides per se. While they may include extensive information about grammar and usage, they are subjective and therefore not RULES, but rather a result of the PREFERENCES of whoever is publishing the guide. What one guide says not to do, another guide might say is okay. When choosing a style guide, it’s best to consider who you are and how you will actually use it. The head of the marketing department, a history major, a journalist, and a psychologist have different goals when it comes to writing, so there are different guides that are better suited to those goals. Below I have listed some of the most well-known style guides out there. You have probably heard of at least a few of them. These titans of style publish extensive and highly detailed guides on a regular basis in order to keep up with changes in language conventions, cultural shifts, and even technology. Think about it; a few years ago, who would have needed to know how to cite a tweet? Because of the depth of these guides, most organizations base their own manuals on one of these guides and make minor tweaks or additions for their own use. Here are a few of the biggies you should know about. 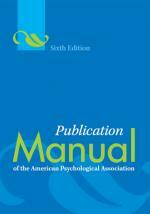 American Psychological Association has been publishing its own highly regarded guide since 1929. The official name of the guide is the Publication Manual of the American Psychological Association, but it’s mostly known as APA Style. If you’ve studied the sciences at all, you may have heard of it, as it is the preferred style for most scientific writing. During its tenure, APA Style has done more than just offer guidance on how to format scientific papers; it has influenced our culture as well. The APA is credited with popularizing the use of non-biased language to write about gender, race, disability, sexual orientation, age, etc. by encouraging writers to be specific and avoid generalizations. The Modern Language Association publishes two widely used manuals based on their own finely-tuned style: The MLA Handbook for Writers of Research Papers and the MLA Style Manual and Guide to Scholarly Publishing. 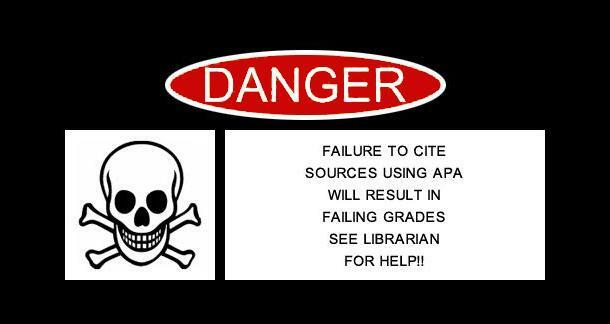 They are written with the academic in mind. Students of the humanities—history, literature, art, and language—would likely find the Handbook handy, while professional scholars and professors probably use the Guide for their scholarly work. The Handbook is especially helpful for high school and college students because it has specific information on how to approach a topic, organize information, and cite sources. If you are going back to school this month, this is probably a must own in some form. 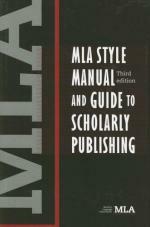 You can find other publishers who will highlight the basics of the MLA form in their own guides (such as my oft used Little, Brown Compact Handbook, Fifth Edition which lays out the basics of both MLA and APA styles), but I would go straight to the source on this one and buy the guide directly from MLA. Buying the book gives you access to a whole bunch of extra online resources, too, so if you are too hip to actually crack the physical book, you can probably just use the online version to find what you need. 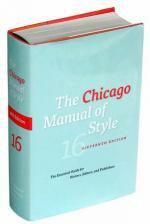 Abbreviated as CMOS, CMS, or simply referred to as Chicago, The Chicago Manual of Style was first published by the University of Chicago Press over a hundred years ago. The first edition produced in 1906 was just called The Manual of Style, and it was pretty short. Now, the guide is over a 1000 pages long and is on its 16th reincarnation. In 2010, the new CMOS published the hard copy as well as put the entire guide online. The CMOS is mainly used by the writing and publishing industry and is written with a writer in mind. It has information about editing and proofing, formatting, titling, and even spacing that is crucial in the publishing and journalism world. That said, it’s one of the most comprehensive guides out there, as well as one of the most flexible. Chicago is known for advocating a clear and consistent style. As long as you stick to that philosophy, most well-thought out style choices are acceptable. Chicago is also a great tool for companies trying to craft their own style guides because it’s less academic than MLA or APA. The size of the manual can be daunting, and again, it’s written for someone who is familiar with the basic vocabulary of writing—i.e. knowing what a noun is, knowing what a subject is, etc. I personally use mine all the time, but I wouldn’t recommend it to someone who doesn’t need so much detail. The Associated Press Stylebook and Briefing on Media Law is updated annually by the Associated Press, an organization you probably hear of every time you open a newspaper or watch CNN. 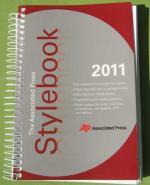 The AP Stylebook is primarily used by journalists and news professionals because it is written specifically for them. If you are neither a journalist nor a news professional, chances are you will not use this guide. That said, it is worth understanding the philosophy used by the publishers of this guide because it affects how our news is presented to us on a daily basis. If you’ve read some of my other articles, then you have likely read my regular soap-box speeches on the Oxford Comma (that’s the comma-before-the-“and”-in-a-list rule.) The AP advocates the omission of the comma before the “and." To those who could not give a you-know-what, this may sound like a butter battle, but the philosophy behind the AP’s preference is all about space. Because it is written for people who only have a little space on a page to get a lot of information out, the AP prefers to shorten and omit wherever possible. It also includes sections on how to write about specific subjects like business and sports as well as how to caption a photo. It has a whole section devoted to media law which explains such important basics like the difference between slander (spoken) and libel (written). Because it’s used daily to communicate news and information to the public at large, the AP Stylebook is updated every year and is likely the most current when it comes to talking about technologies. However, unless you are actually working in this industry, I would NOT use this guide for your everyday writing, and I certainly would not use it for creative writing. All right, nerds, there is a guide for those of you who prefer to use “the King’s English.” In 1893, Horace Hart, Controller of the Oxford University Press (OUP), published a one-page guide that was primarily about typesetting for use by the press. Over the years, it grew to include information about editing and grammar. It’s been through several reincarnations, but it has always walked hand-in-hand with the Oxford guide and Oxford English Dictionary. 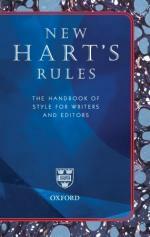 The most recent publication came out in 2010 and is called New Hart's Rules: The Handbook of Style for Writers and Editors and is published alongside the New Oxford Dictionary for Writers and Editors. This is, as it says, another guide written for the writer and editor. If you love grammar and words and love to know the history behind it, Oxford is the place to go. And they advocate that comma-before-the-“and”-in-a-list thing that gets me so worked up. On the day that the president of my college handed me this little book, I had no idea what it was or how to use it. (Ironically, that same college president was fired later that year for plagiarizing an Amazon.com book review in a speech he gave on campus. He should have checked his style guide to see how to properly cite it.) I stored it all through college and toted it back and forth across the country 7 times before I ever cracked it open. Turns out, this little guide is packed with some pretty good advice. In 1918, Cornell professor William Strunk, Jr. published a little guide on usage and composition writing for his students. 41 years later (and 13 years after professor Strunk’s death), one of his former students, writer E.B. White (yes, the Charlotte’s Web guy), revised the little book and published it for public consumption. The guide is known for advocating “cleanliness, accuracy, and brevity in the use of English.” Some today find it a bit antiquated (it was written almost a hundred years ago), and it comes off preachy and condescending in places (just like a good stodgy ol’ English professor should), but if you can get past that, it’s a great reminder of how to make your prose sparkle like a freshly bleached bathroom by omitting wordiness, avoiding passive voice, and getting rid of imprecise language. Although originally conceived for students, I think most writers can find something worthy in this guide. Not to mention, it’s very short and easy to digest. It’s written almost like an essay and less like a reference material. I would recommend it to any writer. Have you ever used a style guide? Which one and for what purpose did you use it? Do you have a preference for one in particular? Why? Please comment below. Write Who You Don’t Know? I started as a journalist, the AP and Struck & White were all I knew then, and all I've used since-- until now! I will now look into the Chicago guide. Thanks for all the great information!